Classic Greek Tragedy, Antigone, Transplanted To An Irish Catholic Backdrop For Limited Run Starting July 8th At The Secret Theatre by Swiftly Tilting Theatre Project, Inc.
Swiftly Tilting Theatre Project, Inc. transports the classic play, Antigone, to the Irish Countryside daring the audience to balance love, mercy, justice, honor, and truth. 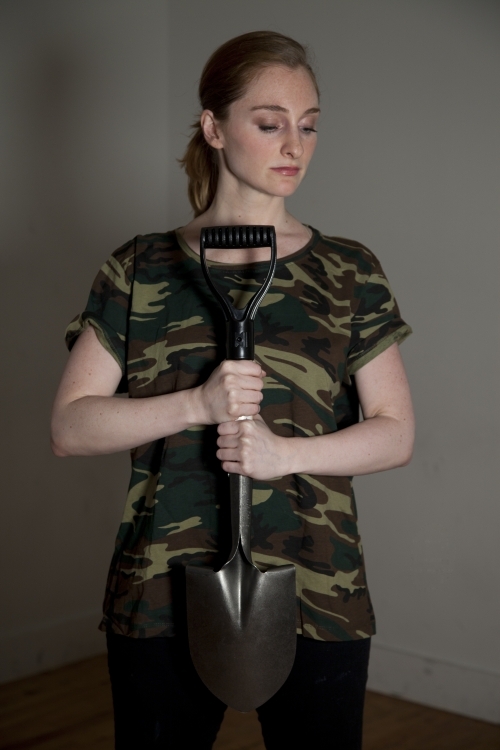 New York, NY (1888PressRelease) June 22, 2016 - July 7-17, 2016, Swiftly Tilting Theatre Project, Inc. presents a modern adaptation of ANTIGONE by Sophocles, set in the Irish countryside, adapted and directed by Becca C. Kidwell at The Secret Theatre. Ms. Kidwell's modern adaptation travels to Ireland where Antigone's brother Polyneices is denied burial based on Creon's interpretation of Roman Catholic law. Antigone is determined that her brother's passing will be celebrated with dignity despite the consequences for herself. Modern language and Biblical text dare the characters and audience to balance love, mercy, justice, honor, and truth. 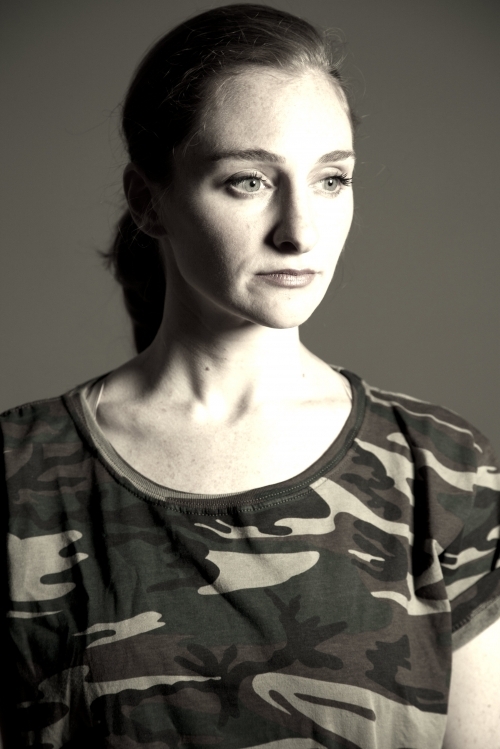 Becca C. Kidwell directs a cast with diverse backgrounds and training. The cast features up-and-coming theatre and television actress, Kristen Brody (The Family Table, Radiance, Shadow of A Doubt) in the title role. Joining her is Pittsburgh native and Bowling Green University graduate, Brent Winzek as Creon; American Academy of Dramatic Arts graduate, Claire D'Angelo as Ismene; Northwestern University graduate, Carey Seward as Haemon; Swiftly Tilting Theatre Project Twelfth Night company members, Zac Pierce-Messick as Teiresias and Benjamin David Knight as Quinn; founding Swiftly Tilting Actor, Taylor Lynne as Eurydice & Siobhan; William and Mary graduate, Larissa Krusei as Kaia, and experienced regional actress and singer Jessica Threet as Aine. IRNE nominated actor and playwright, Danny Bryck coached the cast in a Southern Irish dialect. A new song called "Jeremiah," commissioned for the play, written by Ed Donnelly and arranged by Katy Munson, adds to the mysterious and solemn atmosphere of the play. 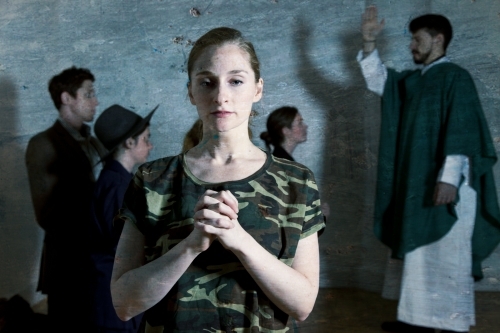 Swiftly Tilting Theatre Project, Inc. is a fiscally sponsored nonprofit by Fractured Atlas. Its passion and purpose is to empower the public with theatrical "edutainment" productions. It strives to to share our knowledge and skills in order to build a theatrical community, that provides affordable, quality, professional theatrical productions for the public through participation as artists, audiences, and students. For more information, see http://www.swiftlytiltingtheatre.org.